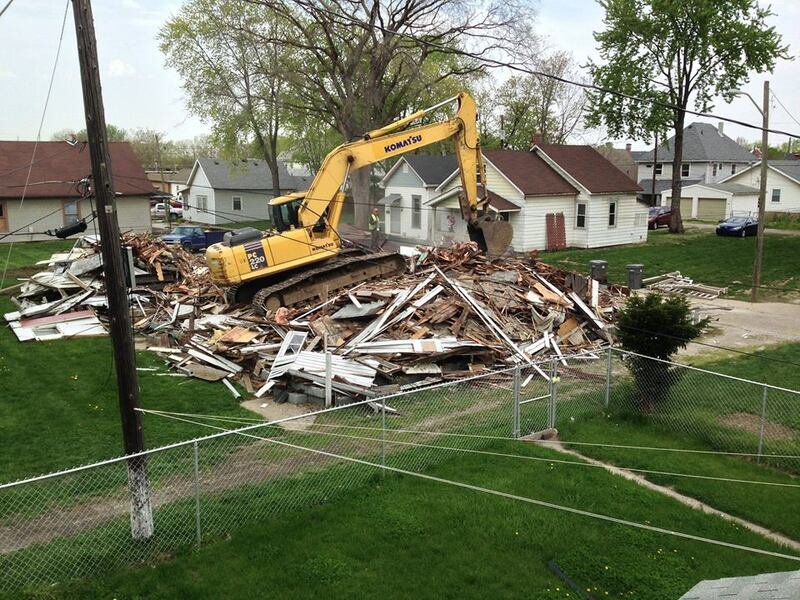 Yesterday demolition began on two old houses on Karcher St. on the south side of Indy. Both of the small houses suffered years of neglect and were deemed beyond salvage after a careful inspection. The houses, at different times, were in use by Christians in Mission in various configurations. It was sad to see the old houses go but the new space will be an important part of the future of life on the south side. Pray the Lord continues to guide us forward! Reminds me of the vine & the branches... the ones that need cut-off, and the ones the need cut-back: pruning so it can grow bigger and better.